Helen Andrew's simply idea to reuse and recycle is connecting locals. In just two generations, our relationship with food has morphed beyond recognition. Where once families used their plots of land to grow what they could (and throwing anything away was unheard of), the age of convenience foods and having an abundance of supply has diminished the value we place on the food we eat. So much so that nearly 30 per cent of farmland worldwide is used to produce food that is never consumed. In fact, Australians will throw away one out of every five food items they buy. But a grassroots community founded by a Sunshine Coast resident on a mission to reverse this has been quickly gaining traction in the region. 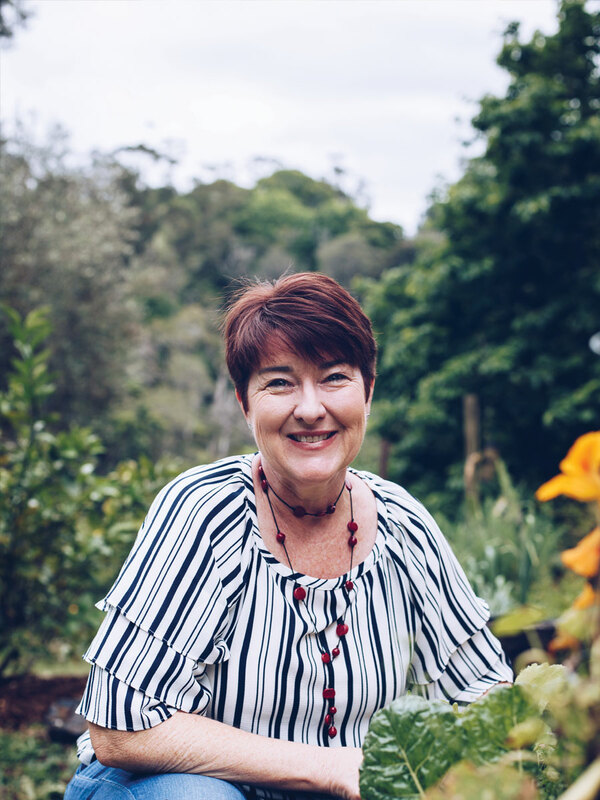 Determined to break the habit of food waste, Coes Creek resident Helen Andrew created Spare Harvest so people could connect to share excess produce, unwanted food in the pantry, glass jars, eggs, seedlings and various gardening items. Helen and husband Ron moved to the Sunshine Coast in 2013 to give their children Alesya and Jaryd a taste of life on the land. When the established fruit trees on their three-quarter-acre property began to yield produce, there was simply too much for them to eat and their neighbours were also dealing with an oversupply of fruit, so Helen couldn’t give it away. Devastated, she ended up burying hundreds of pieces of unwanted fruit in the ground. As she repeated this process the following year, Helen devised a plan to create a platform where people searching for fruit like hers would be able to receive it for little or no cost, ultimately reducing food waste. The simple idea swiftly became a movement, which now has more than 2000 members. Helen says not only is Spare Harvest a waste-reducing technique, but it also encourages people to reconnect with their community and begin to once again be mindful of what they consume and where it is coming from. “It is the power of taking stock of what you’ve got,” she says. “All this stuff we might call waste, someone else calls a resource and we are all about rehoming resources for the right person so that they are used and not wasted. Helen says those connected to Spare Harvest are also enjoying a newfound ability to source produce that is not available commercially. On a larger scale, the world has lost 75 per cent of its food diversity in the last century due to the reliance on large-scale agriculture. Home-grown produce brings back diversity and builds food resilience. “There are many varieties of food sitting in gardens that are no longer available commercially,” Helen says. “We had some black sapote [a species of persimmon], which you never see in the shops in its heritage form. The fruit ripens and falls down and you have a window of just 24 hours to eat the very soft, fleshy fruit that is also known as chocolate pudding fruit. Before the days of chocolate toppings, you would mix this in with your ice cream to make it chocolate flavoured. It doesn’t travel well, so you never see it in the shops or at the markets. Spare Harvest featured in Food Innovation Australia Limited’s third edition of Celebrating Australian Food and Agribusiness Innovations. The book showcases 50 diverse innovations from across Australia’s food and agribusiness industry, which were chosen by an expert panel of judges. Helen says Spare Harvest is a standout because it is about harnessing technology in a way that forges face-to-face connections to nurture our human desire for interaction and socialisation. “While their initial connection is online, the transaction is made in person, so they get to meet one another and you will see where the produce was grown and who grew it. Often our growers are using very little or no chemicals and if they choose to sell rather than give away, it is at much lower than market value,” she says. “The power of social interaction is something that is often forgotten these days and I am pleasantly surprised to see Spare Harvest playing a role in nurturing human connections. A lady on Spare Harvest is a full-time carer for her husband in Bli Bli and she loves her garden. It’s her joy. Sadly, her husband has no interest in the garden and she spends her time out there alone. She can’t leave her home as she is a carer and can’t leave her husband, so to combat social isolation, she invites likeminded people to her home through Spare Harvest and she shares what she has from her garden. Did you know that if food waste were a country, the volume of methane gas it gives off would make it the third biggest emitter of greenhouse gases after the US and China? When questioned about why she thinks we have become such a wasteful society, Helen says it has been a very slow and insidious journey, for which there has been no real catalyst. “It has infiltrated every part of our lives to the point where we buy products now that you simply cannot replace the batteries for, so once they run out, it is completely useless. But people are starting to wake up to this fact and even though our lives are busier than ever we are starting to live our lives more consciously. • One in five of the things we buy, we throw out. • A third of our bins is made up of food waste. • Australians wasted 3.3 million tonnes of food in 2014/15 – enough to fill the MCG six times over. • Supermarkets and other retailers send 170,000 tonnes of food to landfill each year.